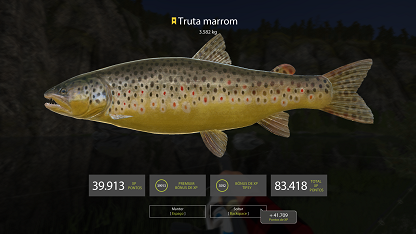 This guide was written with the intention of show players how to catch Brown trout at Belaya, using lower level spinning technique. 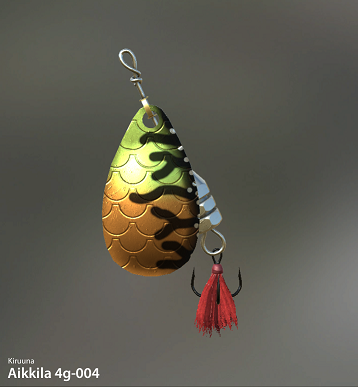 They can be caught on floats and bottom too, but I want to focus it on spinning since you can get better bite rate at belaya using spinning. 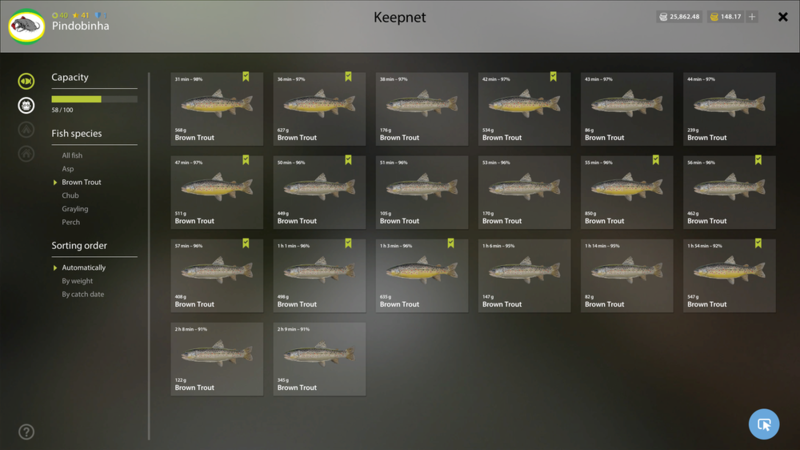 Please remember that in our game fish do migrate, change preferences; Those spots that I’ll show you might not work anymore in the future, same for lures. 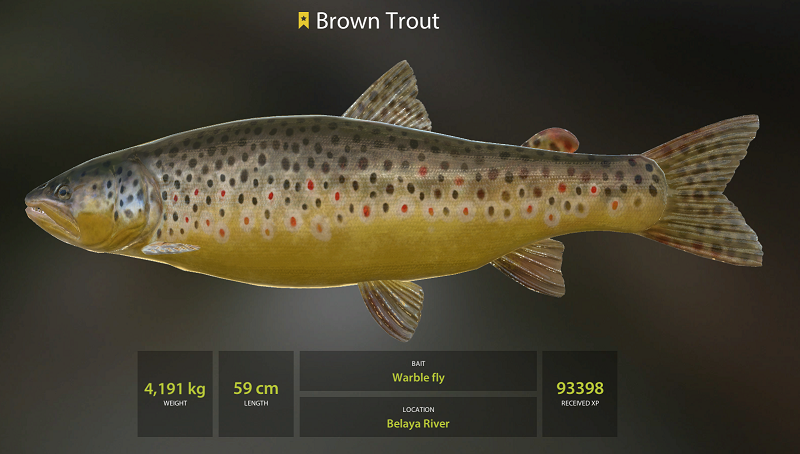 The brown trout is a medium-sized fish, growing to 20 kg (44 lb) or more and a length of about 100 cm (39 in) in some localities, although in many smaller rivers, a mature weight of 1.0 kg (2.2 lb) or less is common. Brown trout can live 20 years, but as with the Atlantic salmon, a high proportion of males die after spawning, and probably fewer than 20% of anadromous female kelts recover from spawning. 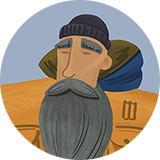 The migratory forms grow to significantly larger sizes for their age due to abundant forage fish in the waters where they spend most of their lives. Their diets frequently include invertebrates from the streambed, other fish, frogs, mice, birds, and insects flying near the water's surface. 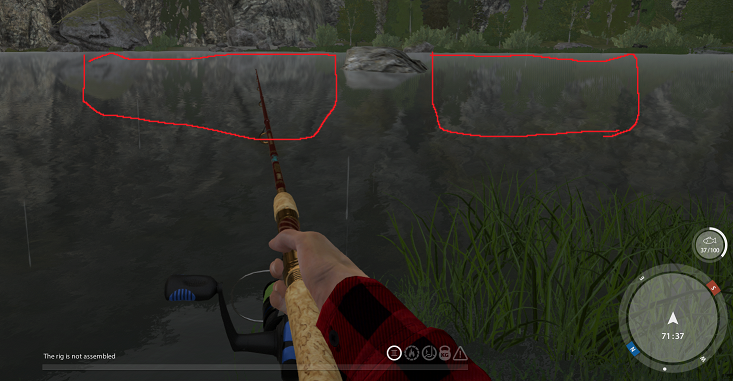 I spent around 8 hours over 3 days, trying 4 different spots at Belaya river. Used two setups, one low level, and my regular higher level setup. The regular higher level setup was used only to compare if casting distance would make a huge difference on bite rate or size of fish. 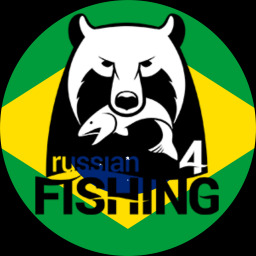 This one I used a 6.8kg handmade Fluorocarbon leader of 15cm, which can be changed for a 6.4kg Fluorocarbon one from the store. Again, I used a 6.8kg handmade leader of 15cm, which can be changed for a 6.4kg Fluorocarbon one from the store. 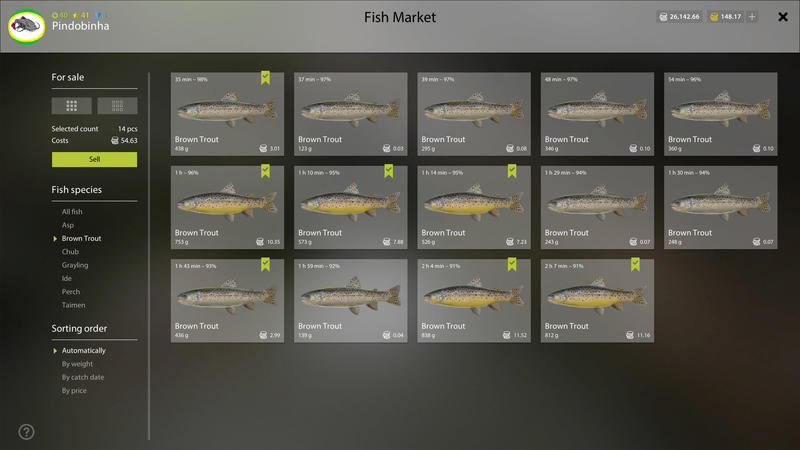 Those 6 lures was the best results I had. 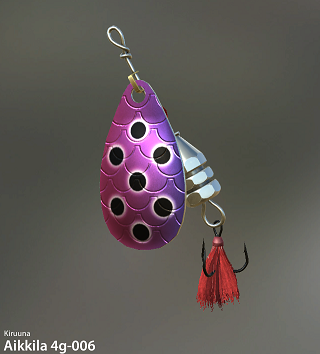 Aikilla 4g-004 is the best over all of those, but I found the Furry T07 a lure that can replace it, they have pretty much the same color spectrum, and it was confirmed by the tests. Aikilla 4g-006 is good for night time, together with the Dragonfly Original 1-008. Aikilla 4g-008 is good for early morning, together with the Spin-shot 1-001. 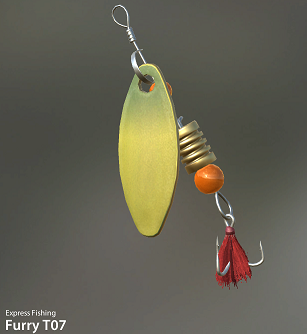 I suggest changing the hooks to feather hooks, my PB catch while doing the testings was 1.8kg, on the Aikilla 4g-004. 1) This was a good spot, decent bite rate, but not the best for trouts. 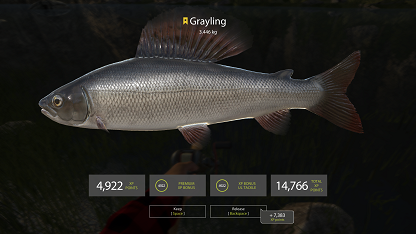 Chubs and Graylings bite there a lot, good to level up spin fishing. 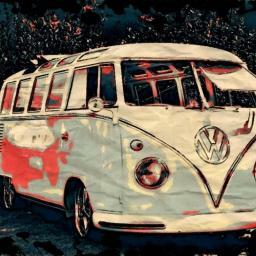 Worked better on sunny day. 2) Another good spot, decent bite rate, not many chubs, but lot of grayling and few brown trout, good to level up spin fishing. This worked better when sunny day. 3) This was a really good spot, decent brown trout bite rate, some graylings and chubs, really good for silver and spin fishing points. 4) This was the best spot after all testings, really nice brown trout bite rate, lot of graylings too, carefull, pikes can be in that area. Worked really well on cloudy day. When looking at those 4 spots we can see some particularities and similarities… They like to be near to rocks/structures, they like change of current, mostly they been bitting behind the rock, or on the change of depths, the 4th spot is right on a bifurcation of the river, so, for sure there’s a change of current there. 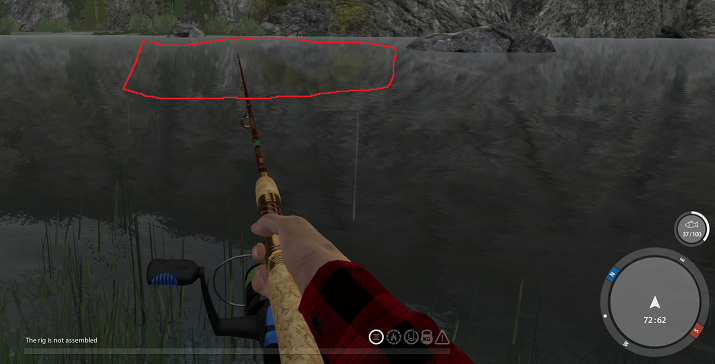 Look for those features in the map and cast your lure, for sure you will find brown trout hiding there ! 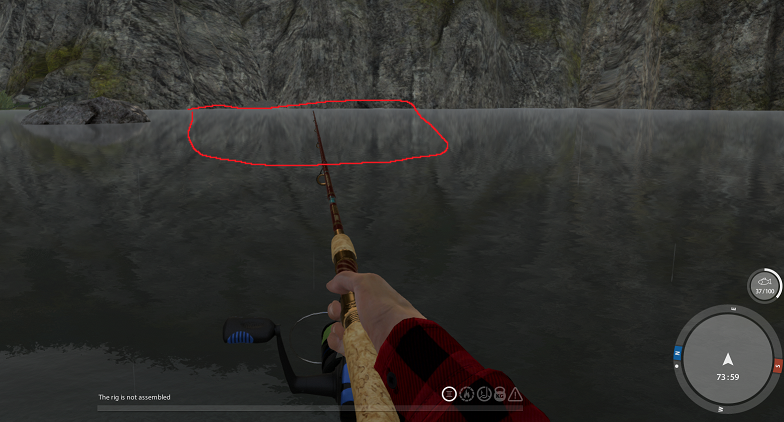 I used two retrieval techniques that I found it’s good for the trouts… I used 30 speed, with speed up, you need to reel in 4-5 revolutions, then shift+reel, the speed up technique will show up, when it disappear, you stop reeling and wait for 1 second and start it again. 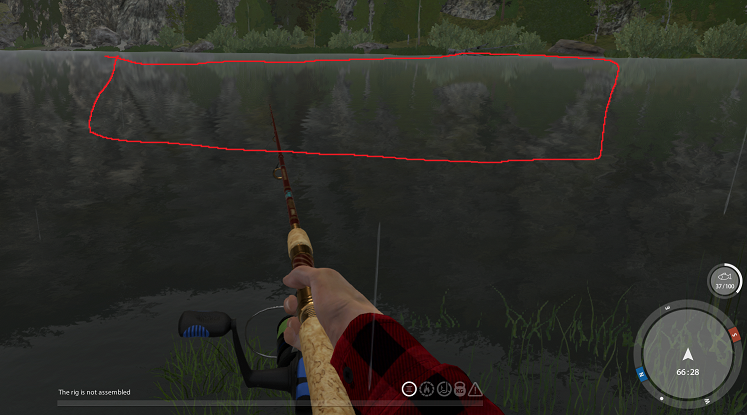 The second technique was straight slow retrieval, 10-16 speed, straight reel, non-stop; You can stop for couple seconds, but isn’t necessary. Spinners works because they make vibrations on the water, so, most of the time you want it moving in the water, you can move it in the water collumn by reeling it slower/faster, stopping reeling or not. Both techniques can be done reeling upstream or downstream. 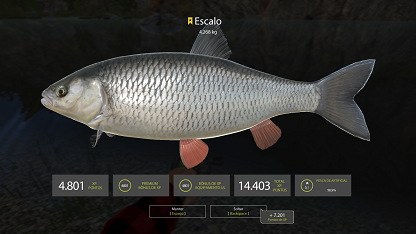 While spin fishing, they’re really agressive fish, you will have so much fun! 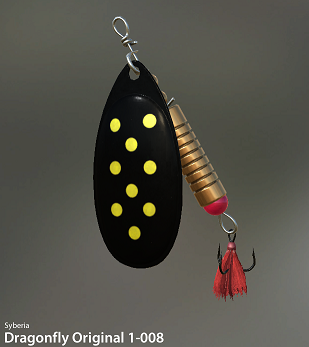 You can use small wobblers, small spinners and small topwaters, they will bite on pretty much everything small that makes vibration/caught their attention on sight. 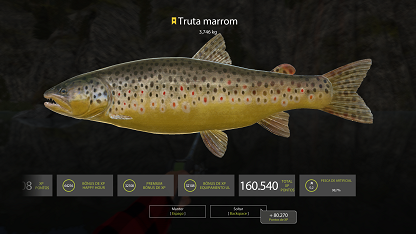 Remember too that you can use feeder and float fishing methods, my personal record on Brown trout was caught on a feeder, using Warble fly, other baits that you can use: Grasshoppers, Crickets, Cockhaffer. I used to use medium 10 hooks, 15kg fluoro carbon leader, with this PVA Stick: casters, chopped worm, bloodworm, fly maggots, caviar smell, that’s a pretty high level stuff to use, but it paid the effort. I don’t suggest using normal groundbait since it would make the water less clear, and brown trout don’t like that. 0.3592kg when using the low level gear, and 0.421kg when using the high level. Got less trouts, but bigger ones when using the gear that casts further, that’s the same for the other fishes that you will catch between the trouts. 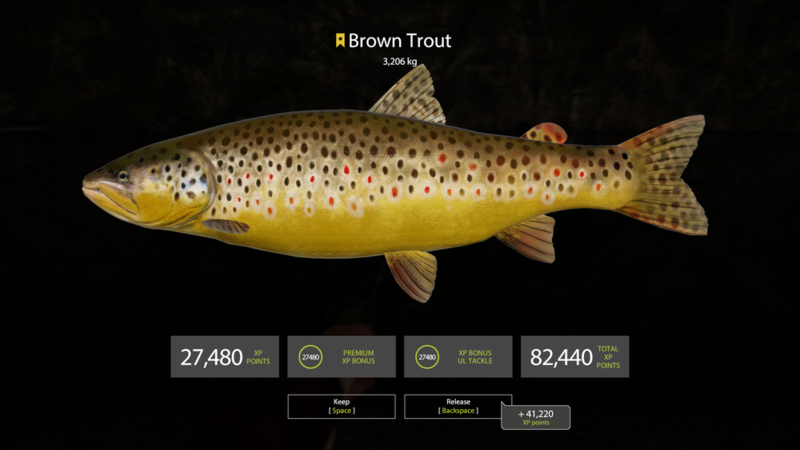 Brown trout are an amazing and beautiful fish, they’re fun to catch and can put on a hard fight, you need to control them to not run into open water or you will have troubles. 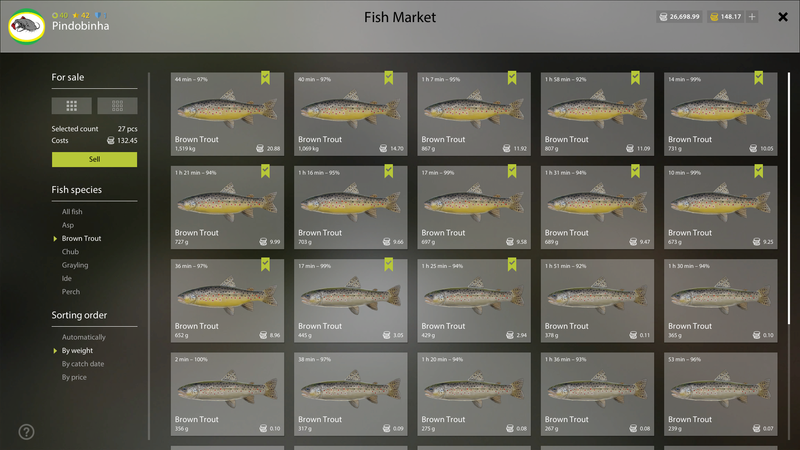 You will get a lot of other fish while fishing for Brown trout, you mostly will get them mostly on early morning, late evening and night time. 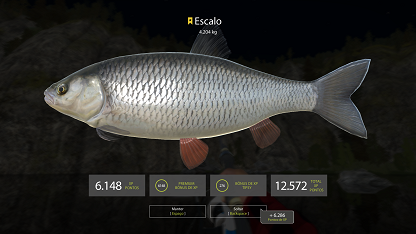 Use light setups to fish at Belaya, always with light leaders. 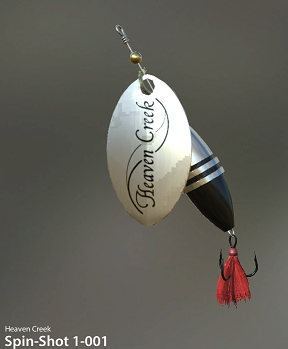 Have a great fishing trip, if you have any questions, feel free to ask, I’ll be glad to help. Valeu Pindobinha. muito bom esse guia. vou utilizar hoje e ver os resultados. Thank you Pindobinha. very good guide. I'm going to use today and see the results. 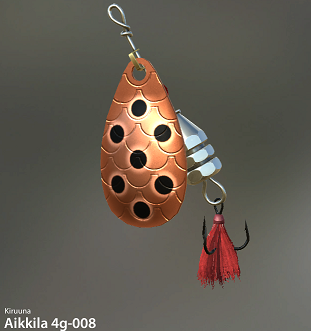 @Pindobinhawith the feeder fishing, was it the same leaders and spots, and also because I feel really nosy, clip and hook size?? 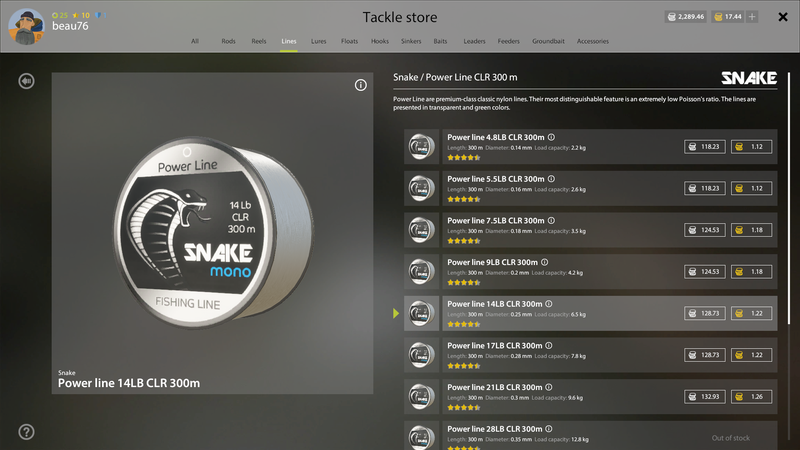 @Pindobinha on my ul setup i am using snake power clr 6.4 would i still need a leader ?